A meeting of the Scholarship Management Committee, which is the steering committee under HEC-USAID Merit and Needs based Program, has approved cases of 99 needy students for the academic year 2010-11. According to the press release, Dr. Sohail Naqvi, Executive Director, HEC chaired the meeting of Scholarship Management Committee held at Commission secretariat, Islamabad. Dr. Arturo Acosta, the representatives of USAID, was also present. 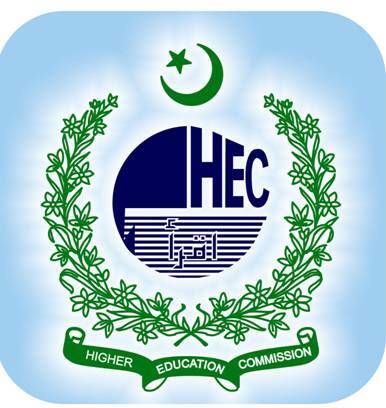 The HEC, in partnership with the US Government, initiated the Merit and Needs Based Scholarship Program aimed to provide assistance to talented but needy students who are unable to start their higher education due to financial disadvantages. These scholarships are available since 2004 in the field of Business Administration and Agriculture at 11 participating universities/institutions. The selected students are from rural and remote areas across Pakistan and studying at KPK Agriculture University, Peshawar; Balochistan University of Information Technology Engineering and Management Sciences(BUITEMS), Quetta; Sindh Agriculture University(SAU), Tandojam. The offered scholarships cover tuition fee, transportation, books, lodging and incidental costs. Speaking on the occasion Dr. Naqvi stressed on the need for fund raising activities for sustainability of the Financial Aid system at universities. He added that the involvement of the local community is very essential in order to raise funds for generating scholarships for needy students. He reiterated that universities should invest in better outreach and developing alumni association to generate funds for scholarships and other activities. Dr. Acosta added that this scholarship is an excellent opportunity for talented needy youth belonging to remote areas especially female students. The representative of BUITEMS quoted a success story of Ms. Memona Shaheen, a daughter of retired clerk belongs to rural Quetta, was unable to start her higher education. She completed her education on Merit and Needs based scholarships and currently working as Data Management Officer and controlling and maintaining records of 12 districts of Balochistan. Since Program’s inception in 2004, 1440 needy students have received scholarships in the field of Business Administration and Agriculture while 827 students have completed their education under the program. The goal of the program is to award a total of 1,807 through six year life of the project.